ASHTABULA – Kids for Positive Change (KPC) will present its “Earthbench for a Better World” project and “The Last Straw Ashtabula Project” at Jane Goodall’s Roots & Shoots Showcase on March 23 at the Hyatt Regency in Chicago, Illinois. 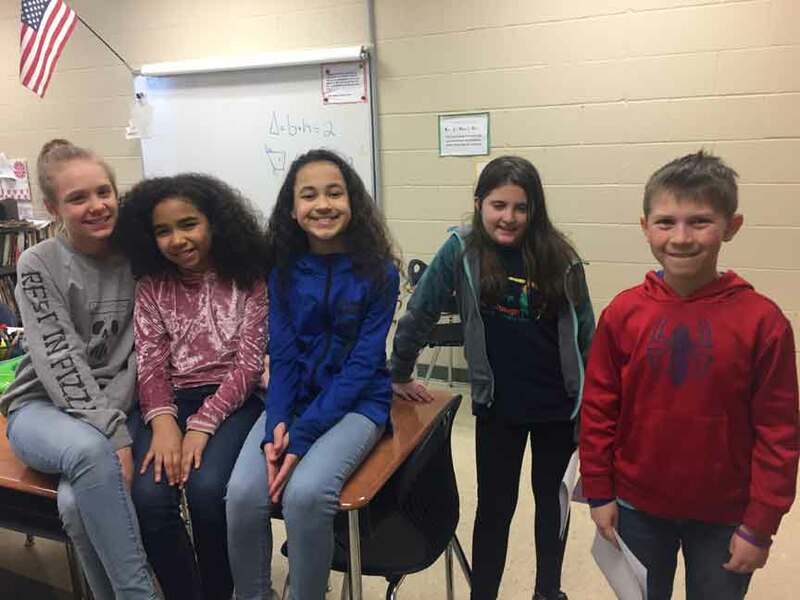 Kids for Positive Change, in conjunction with Ashtabula Area City Schools, was awarded Roots & Shoots mini-grants to help support the construction of Ohio’s first Earthbench, a bench made of recycled and sustainable materials, which is located between Superior and Erie Intermediate Schools, and The Last Plastic Straw Ashtabula Project. Students will present their work to other Roots & Shoots student groups and members of the community during a one-hour tabling event in Chicago. Students will present their projects, on stage, to Dr. Goodall and a larger audience after which Dr. Goodall will give a 45-minute talk to the students about what she has seen around the world and her message of hope. Later, students will also meet and have their picture taken with Dr. Goodall. “This is an incredible, once-in-a-lifetime opportunity for Ashtabula Area City School students. Dr. Goodall will turn 85 on April 3, 2019. “Her wisdom, advocacy and passion for her life’s mission is sure to inspire our students to become future leaders and change-makers,” said Licate. Students will also have the opportunity to visit some of Chicago’s historic landmarks, see Lake Michigan and visit the Shedd Aquarium. “We are asking for your help to get 5th- and 6th-grade students, from Erie Intermediate School, to Chicago, Illinois, for this once-in-a-lifetime opportunity!” said Licate. Kids for Positive Change LLC is a community partner with AACS. Kids for Positive Change has an online fundraising page on LEADERship Ashtabula County’s website to allow donors to make a tax-deductible donation. Kids for Positive Change LLC is not a 501(c)(3). This opportunity materialized on March 8 and KPC needs to raise $5,000 to transport students to Chicago for the event, which include costs for hotel, food and a visit to the Shedd Aquarium and Historic Navy Pier. Students will depart Friday, March 22, and return Sunday, March 24. Pictured are the kids attending the Roots & Shoots Showcase to present to and meet Dr. Jane Goodall. From left to right: Michelle Pasqualone, Malia Stills, Jaselle Kraninsky, Clara Harchalk and Conner Hansel. All students are from Erie Intermediate School, Ashtabula City School District, and are part of the Kids for Positive Change program.